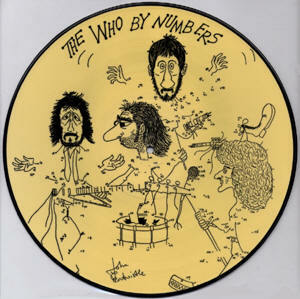 Comments: I guess the purpose of this release is to put all the High Numbers tracks on one CD. The studio tracks have all been released officially. 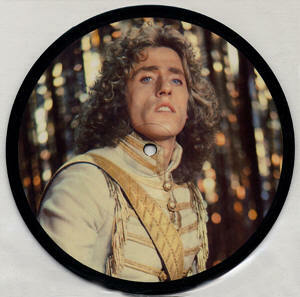 Comments: Interesting MP3 collection of 9 Roger Daltrey albums on two CDs (apparently copied from both CDs and LPs). Excellent sound quality and quality indexing. 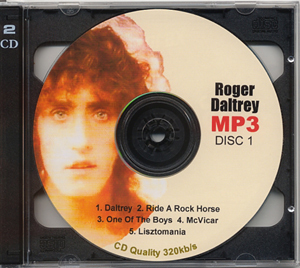 Comments: Interesting MP3 collection of 8 Roger Daltrey albums on one CD (apparently copied from CDs and LPs). Excellent sound quality and quality indexing. 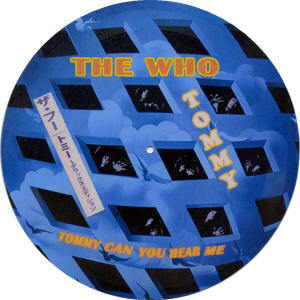 Comments: Pirate 2CD pressing of the 1972 "Tommy" performed with The London Symphony Orchestra. 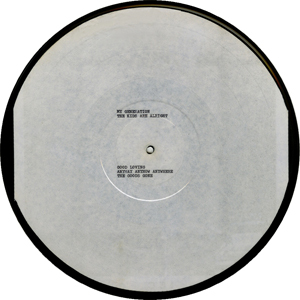 It appears to be an excellent dub off of a clean LP, with some added noise reduction. 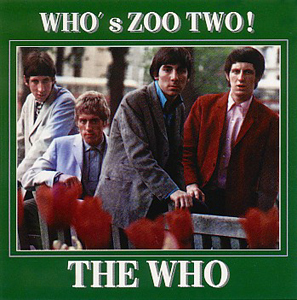 "Pinball Wizard" has a bad edit, approximately 1:05 into the song. The sound quality on this CD is good, but the 1991 circa legitimate CD pressings are better. Track Listing: Tommy Can You Hear Me? 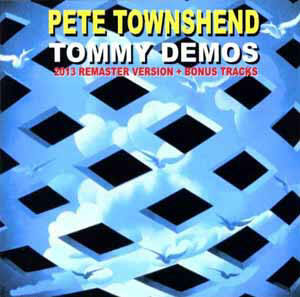 Comments: Great CD of Pete Townshend's demos of "Tommy". The two John Entwistle tracks are mono outtakes of the studio versions. Compare with "Alternate Tommy" as this CD is "bass heavy" vs. that one being "bass light". 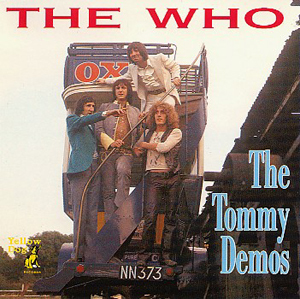 Comments: Pirate copy of the Pete Townshend "Tommy" demos included in the "Tommy" Super Deluxe Box set. Essentially these tracks are "raw" outtakes from "Too Late The Hero" as the "band" was working the songs out. These are different than the bonus tracks on the expanded "Too Late The Hero" CD, which also feature some of the same titles. 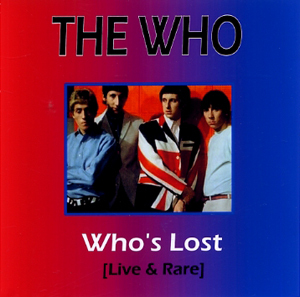 This works out great for me, as I can never get enough of "Dancing Master" - one of my favorite John solo songs. The "dueling bass solos" on each version of the song are different from each other and equally great! 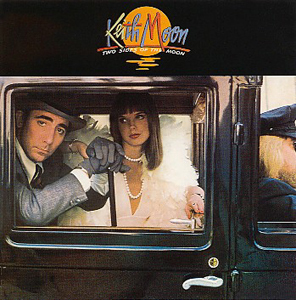 This collection of songs also includes 2 songs that weren't released on the final album, "Countryside Boogie" (aka "Wild Horses") and "Back On The Road". 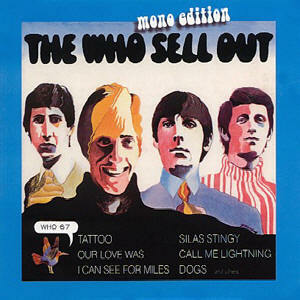 A version of the former was released as a bonus track on the expanded "Whistle Rymes" and a completed version of the latter was released on "Music From Van Pires". 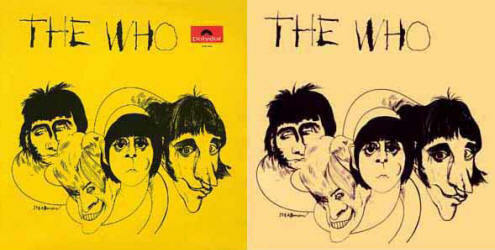 Both of these songs were attempted to be released by John for several projects, but they never seemed to "fit". 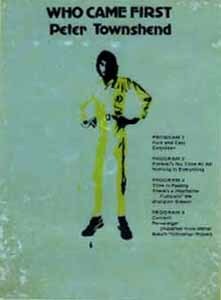 I believe that "Countryside Boogie" probably didn't see its first version until at least 1975 (not sure how it ended up on "Whistle Rymes" (1972)) and "Back On The Road" (the demo had Kenney Jones on drums) was probably meant for "Face Dances" as the "ballad" semi-auto bio version of John vs. "The Quiet One". I've always really liked this song and you can see clearly John's feelings of "life on the road" vs. Pete's (which are quite the opposite). 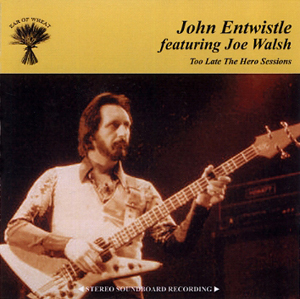 If you are a fan of John's solo work and specifically "Too Late The Hero", this is a must have. 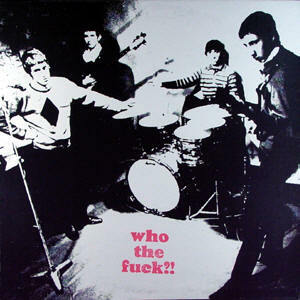 Comments: A dub from the vinyl LP. 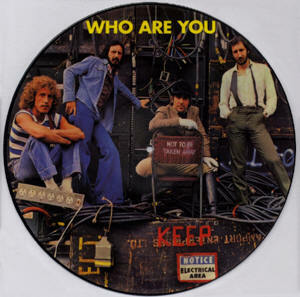 This CD was released before the official CD release of the album. 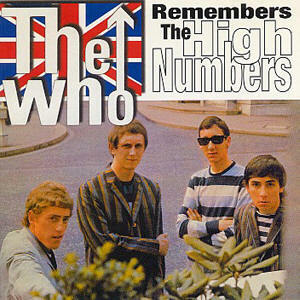 "About this CD, all tracks come from 10" reel to reel tapes, which were recorded at Olympic Sound Studios in London. 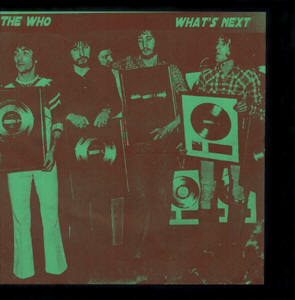 They are unfinished mixes and outtakes. 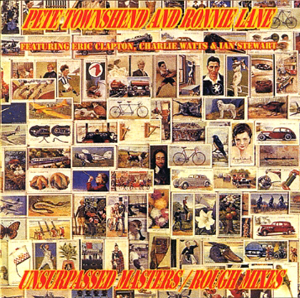 More specifically, this is a collection of the songs from Pete's "Rough Mix" album, in outstanding sound quality. 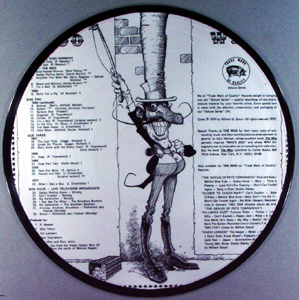 One of the aspects of "Rough Mix" that I love so much, is how well it is recorded. It has a very "natural" sound to it. When played, it's as if Pete and company are right in the same room as you. It was a great surprise to come across this CD. I suppose that someone tossed some tapes into a dumpster and someone else "garbage picked" them. So be it - this is great stuff. What you mostly find on this CD, is not extreme variations. The instrumental parts of the album seem to be <mostly> the same as the released version, but what this does include is alternate vocal performances that are a little less polished and really really cool. 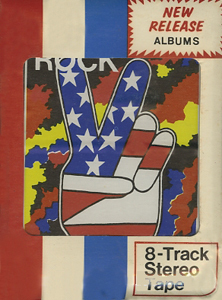 There are also some "backing track" only (no vocals) versions, which is great if you are the type of person who likes "karaoke". 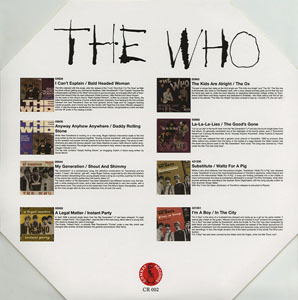 Comments: All of these songs (mostly demos) were available on Pete Townshend's website and originally intended for an official, Eel Pie (Pete's record label) release. Apparently someone downloaded them and created their own CD. 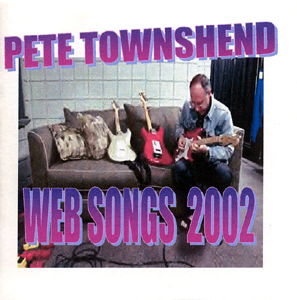 The CD comes with a nice booklet, using Pete's original website "liner notes" for each of the songs. Excellent sound quality. 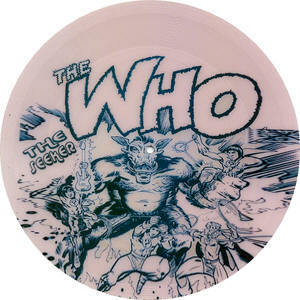 Comments: Picture disc. 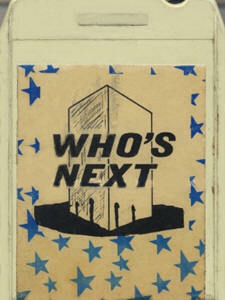 Most likely pressed in the early 1980's. 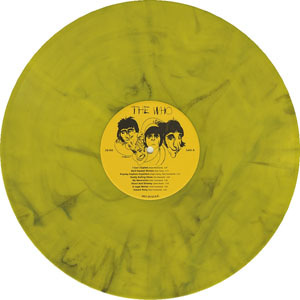 Comments: Pirate of the 1966 LP, "The Who" (pressed in Italy and South Africa), with a duller, yellow color and without the Polydor logo(s). Comments: Early Italy singles releases. Comments: This is a neat little CD. 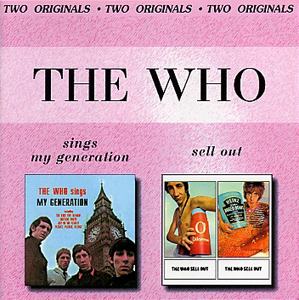 They took what was officially released, and then used the opposite versions (i.e. 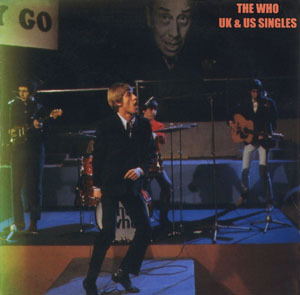 if something was released officially in mono, it's in stereo on this CD and vice versa). The credits have some mistakes, but I've corrected them below. 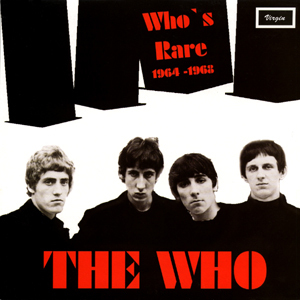 The basis of the "A Quick One" tracks here is the 1966 German LP, "The Who" (similar to the cover on the bootleg). 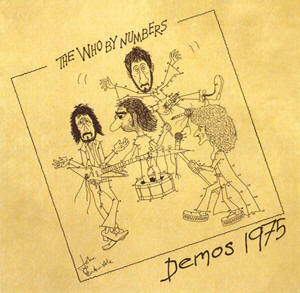 Comments: Who studio and Pete Townshend demo tracks - mostly common releases as of today. Very good sound quality, however, the play speed is very fast and needs to be slowed down via a pitch control. 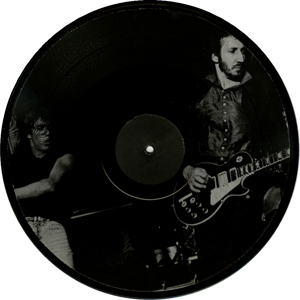 Comments: Pete Townshend demos (not the best source tape). Full demos of "Keep Me Turning" (@ 3:37) and "Brrr" (@ 3:28). Comments: Pirate 8-Track copy of the legitimate album. Comments: Pirate 8-Track copy of the legitimate album. 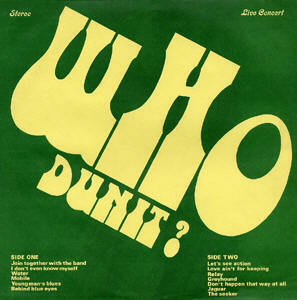 Track listing in different order. 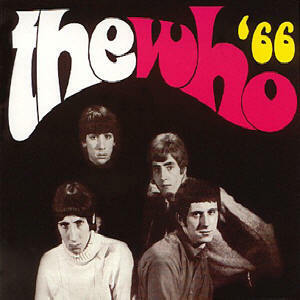 Comments: Great "Who Are You" demos. I got the impression that these were taken off of an older, pre-Dolby cassette tape, as 2 of the songs "fade out" probably where the tape was flipped. In spite of that and some tape hiss, the sound quality is very good. 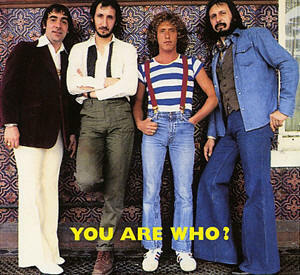 "Affirmation" is from one of Pete Townshend's Meher Baba albums and "Baba O'Riley" is the "Lifehouse" instrumental version. 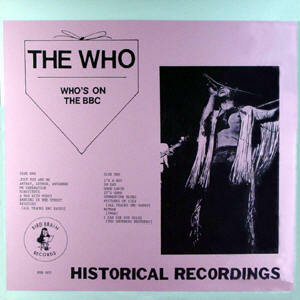 Comments: 2 LPs, Live and (2) studio recordings. 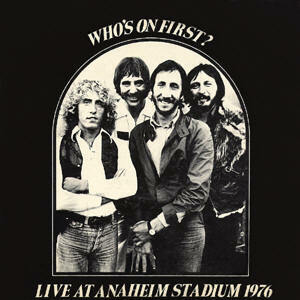 The live tracks (from Anaheim Stadium, Anaheim, CA, 3/21/76) are from a poor audience recording. 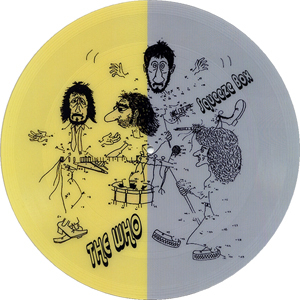 "Glow Girl" is the Pete Townshend demo version and sounds pretty good, but isn't helped by the substandard <noisy> vinyl quality. 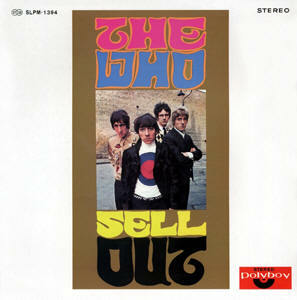 Comments: The mono "Who Sell Out" has not been re-issued and it contains several mix variations from its stereo counterpart. 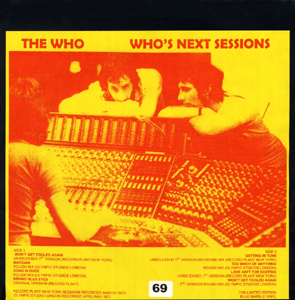 Unfortunately, the mastering changes throughout the LP, and the parties that dubbed this (and did a pretty good job) did not re-EQ it accordingly. 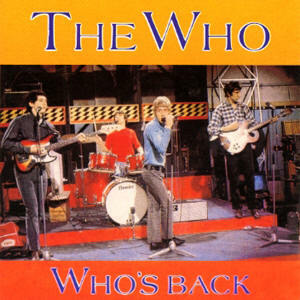 The "bonus" tracks seem to be dubbed from the various rarity LPs and the two Pete Townshend demos, directly from Pete's old website! 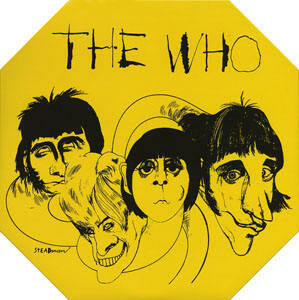 The last track, "Pictures of Lily" is something that I've never heard before - it sounds like a rehearsal. Pretty cool version and mostly instrumental. 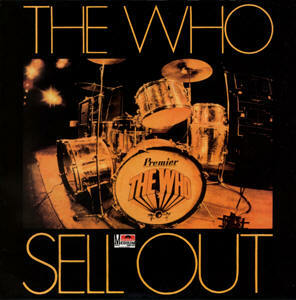 Comments: Pirate copy of the 1967 "The Who Sell Out" "Drum Cover" LP from Holland. Comments: Songs mostly sourced from various CDs. "Premier Drums" and "John Mason Cars" are unedited. 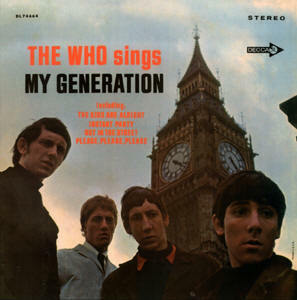 Comments: Pirate copy of the USA "Who Sings My Generation" (mono, original mix) CD and remastered "The Who Sell Out" (either Germany Polydor or USA MCA) with an interesting twist - somehow in the dubbing process of the "My Generation" part, this CD's mastering is actually better than the source disc. It has a smoother sound and more bass than the MCA. Comments: Another <mostly> BBC LP. Everything on it has been released elsewhere and with better sound quality. Comments: All tracks commonly available on officially released CDs. Comments: This was a collection way ahead of its time. 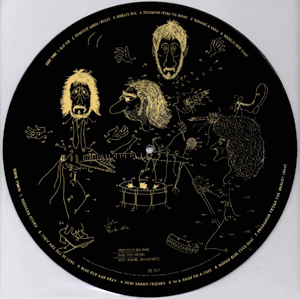 All the rare singles and "b" sides on a 2 LP set! 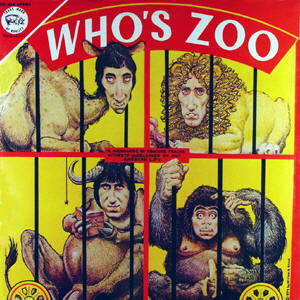 Back before the Rarities LPs (and then CDs), if you weren't into tracking down all the rare singles, this was the way to find them all in one place. 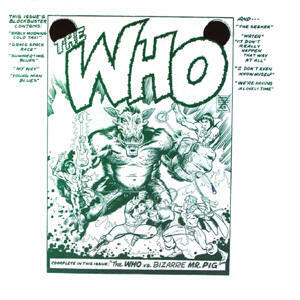 Great cover too! 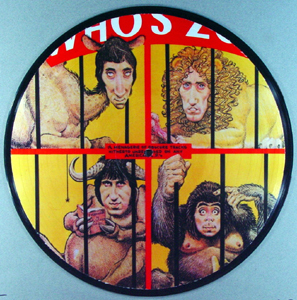 The picture disc doesn't sound as good as the regular vinyl version. 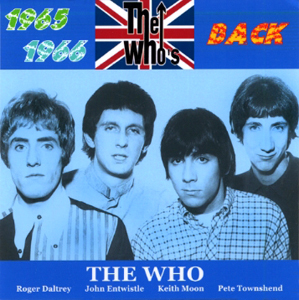 Comments: A mixture of common releases, alternate versions (found on other bootlegs), some mono "Who Sell Out" tracks and an odd 1966 radio broadcast (B Quality). Comments: A nice collection of rare studio outtakes, demos and BBC. The "It's Not True" demo sounds particularly good. 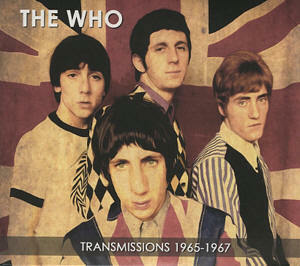 Most of the material has been released officially, but the few unreleased tracks still make this release worthwhile. 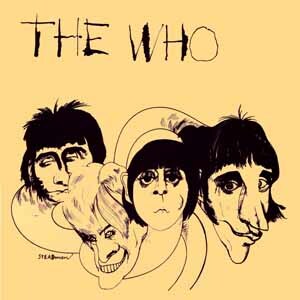 Comments: Dull, mono studio tracks, all of which have been released, except for this version of "I Don't Even Know Myself", which is a different take. Basically the same LP as "Radio London". 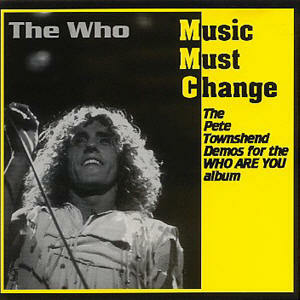 Comments: Compare with "The Who: Music Must Change" above. The Pete Townshend "Who Are You" session demos seem to be directly copied from that disc, but a bit of noise reduction was used to reduce the hiss (and also some of the "fullness" of the sound). Additional tracks (noted below) are taken from, "The Kids Are Alright" (TKAA) video (pre-2003 DVD) and are slightly sped up as in the video. 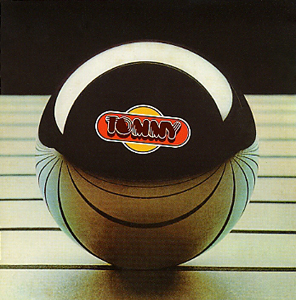 "Peppermint Lump" is taken from the Angie single (which is produced by Pete Townshend and features his backing vocals and guitar - see Who Related Singles <Peppermint Lump> for more details).